Last year’s Appeal raised more than $281,000 which enabled the Society to continue to provide support to disadvantaged people. Each year the Society provides over $2 million worth of assistance to over 42,500 people in the Canberra/Goulburn region. The areas within Canberra which relied most on the Society’s assistance in the last financial year were Gungahlin, Kambah, Kippax and Narrabundah. These are also the areas which garner a lot of support during the Doorknock Appeal, raising over $57,000 between them in 2018. 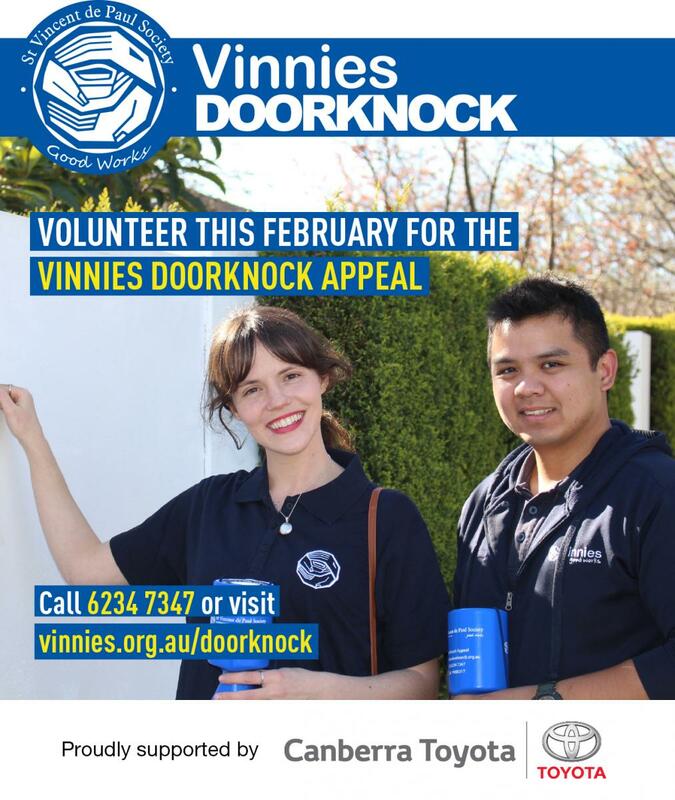 Each year Vinnies puts a call out to the community for volunteers. Last year they had over 1,400 people doorknocking and covering 54% percent of Canberra households. This year the aim is to cover 70% and therefore 1,800 volunteers are needed. Doorknock volunteering is really simple and flexible, you get given an area of about 40-50 houses and it takes no more than 2 hours to complete. It is something you can easily do with a friend, your children or by yourself whenever suits you.